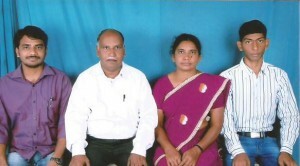 Biography:Berean Fellowship Church started in 2003, by Prem Kumar Gandham. The church congregation is a little over 200 people meeting every Sunday and is led by Spirit-filled worship. The heartbeat of this church is to free the people in their community of their idol worship by connecting them with the Gospel. Their vision is to make disciples, develop leaders and to send them out to the unreached. Despite their lack of a church building, Berean Fellowship Church has an active youth and children's ministry. Their young people get to study the Bible on Sundays and there are Bible studies for adults meet in the homes of the church members during the week. Strengths: Prem Kumar is a gifted teacher and preacher. He has also enjoys singing.